The meditation on Chenrezi—the bodhisattva of compassion—is a Vajranana technique through which we draw forth our inherent awakening. We do so by exchanging identification with ordinary body, speech, and mind with the with awakened body, speech, and mind of Chenrezi. The practice consists of imagining ourselves in an enlightened form, reciting the six-syllable mantra of Chenrezi, and training in various samadhis. Once we have familiarized ourselves with awakened being through these conceptually-supported techniques, we let go of these supports and, ideally, rest in awakened mind itself, free of all elaboration. This retreat will include guided meditation sessions to throughly introduce the key components of Chenrezi meditation to newcomers, allowing them to gain firm understanding of and confidence in the practice. 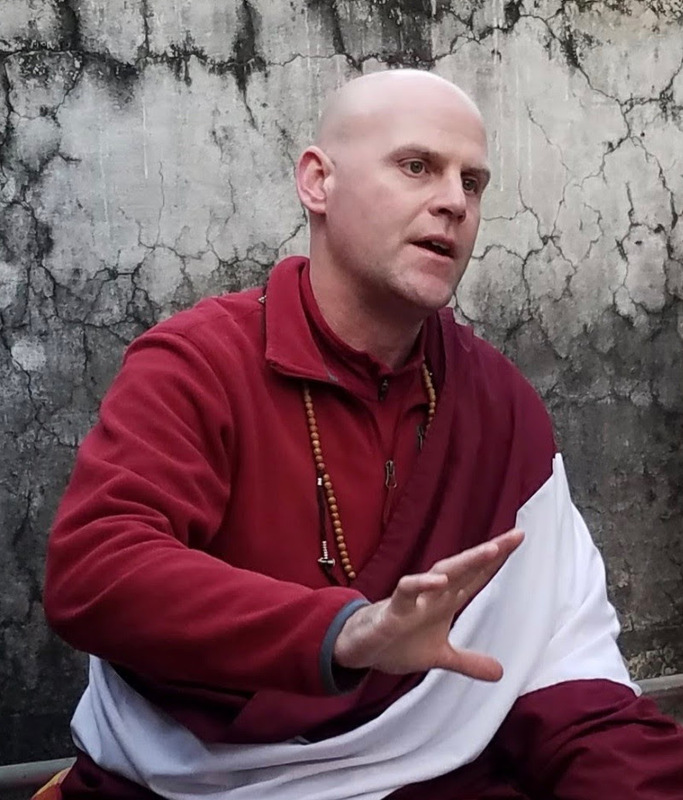 For those already familiar with it, we will explore methods to develop shamatha, vipashyana, loving-kindness, compassion, tonglen (sending and taking) and so forth within this meditation, thus learning tools to deepen and expand our experience. Following the advice of many past masters, it is not necessary to have already received this empowerment to begin this practice or participate in this retreat. Some basic understanding of (or at least, strong, informed interest in) the Chenrezi practice is the only prerequisite for attending. For those new to Chenrezi, attending the August 5th all-day sit at KCC is strongly recommended. The schedule of sitting will be full, but there will be a stretching break after each half hour of sitting and all should feel free to alternate between sitting on the floor, in a chair, or even lying down. Text are available at KCC and will be available at the retreat. Participants must be able to attend from the beginning to the end. To support a conducive container for all participants, this retreat will be silent, and by registering you agree to abstain from using mobile phones and the like during the retreat. Visit the retreat webpage for more information.